U.S. Air Force Bases in Germany have added inLighten’s iTOUCH Internet Access Kiosks in an effort to provide a self-service way to safely access and conduct transactions at Service Credit Union through the institution’s public Web portal. The kiosks enables credit union members to use their credit union smart cards to activate the kiosk for access to account and credit union information. 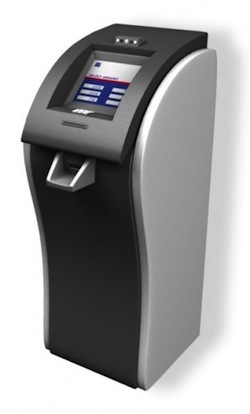 The kiosk system allows for secure access to authorized users and provides a safe access point in an environment with restrictions on personal computers, tablets and smart mobile devices. Due to military restrictions, inLighten customized the solution to meet military security levels, particularly on foreign soil. The iTOUCH kiosks have also been installed at the U.S. branches of the credit union.